Athletic participation is a valuable educational experience. Our student-athletes understand that their participation in athletics is a privilege. They represent our school in such a way that makes their parents, teachers, and community proud. We will post sports schedules here as they become available, so check back for the latest schedules! Please note that all of our sports schedules are subject to change. 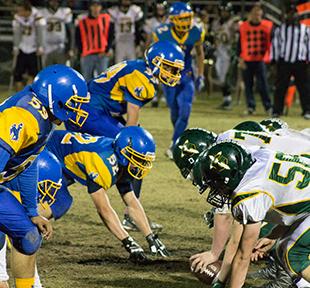 The participation fee for high school athletes is $75 per sport/activity, capped at $225. The participation fee for junior high school athletes is $60 per sport/activity, capped at $180. All sports fees for junior high and high school need to be paid at the district office. Be sure to check our Calendar page for a complete listing of athletics events! You may also check our Google calendar for a listing of athletics events and other extracurricular activities. Be sure to subscribe to the junior high athletics calendar! We require all athletes interested in participating in sports at Pima Schools to have the following current forms on file in their respective offices. We also require proof of insurance coverage for participation in summer sports programs. High school athletes must also complete the AIA online concussion education course.